Someone on Instagram described this scent as if you mixed ScentSationals Pink Velvet and Violet Sugar wax melts from Walmart together. 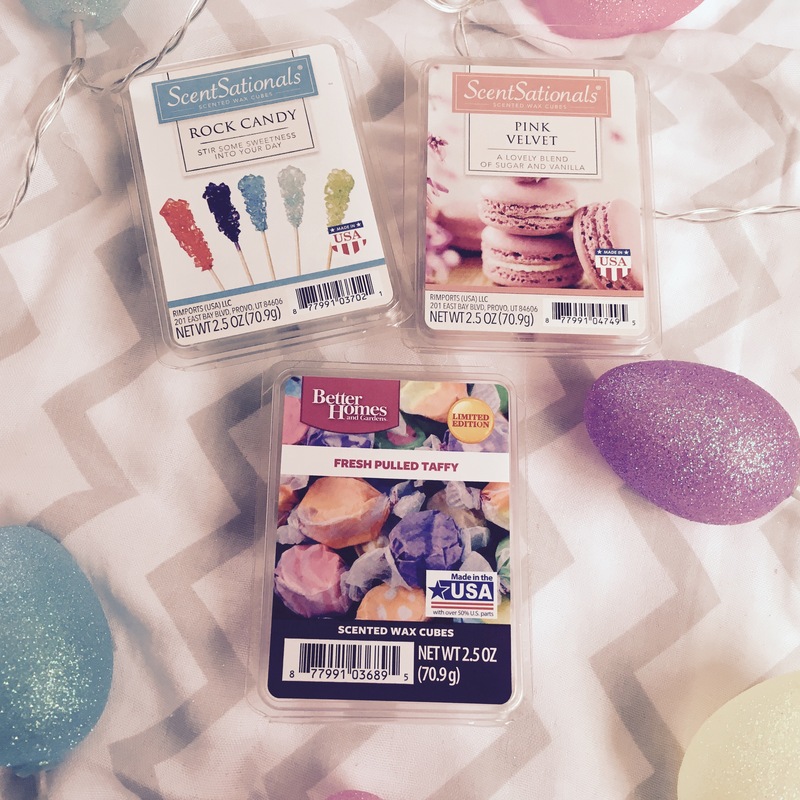 I've never sniffed Violet Sugar so personally I wouldn't know; but Pink Velvet has been one of my favorite ScentSantionsals wax melts since 2015. 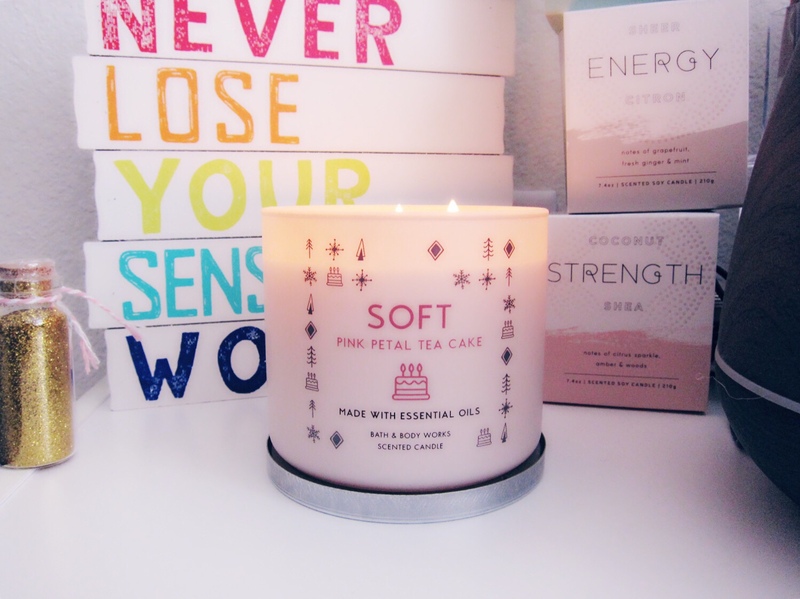 Unfortunately Soft and the rest of the candles from that line gained some attention due to the fact that the label was ripped off of another company --- one I hadn't heard of before and from what I had seen people were linking it to a product on Amazon. I have since lost the post that actually went into detail about the situation. There was a candle in the collection called Nook that half the jars didn't even have a label to, it was just a blank black jar (which the store I had found my Soft at had those label-less jars of Nook). This isn't the only label B&BW has ripped off in 2017 either, there were at least 2 or 3 more collections where they had. Now I don't know the source behind all of this or if B&BW actually had permission from the original artists and I'm not sure if anyone else knows for sure what was going on either. But I'm a little saddened that these candles didn't get the shelf space they deserved as they were really hard to find and people who did have access to them would post on Instagram how they'd buy up to TEN BACK UPS or they'd buy the whole store out making them even HARDER to find (which is really unfair to the rest of us) and they were really pretty candles! 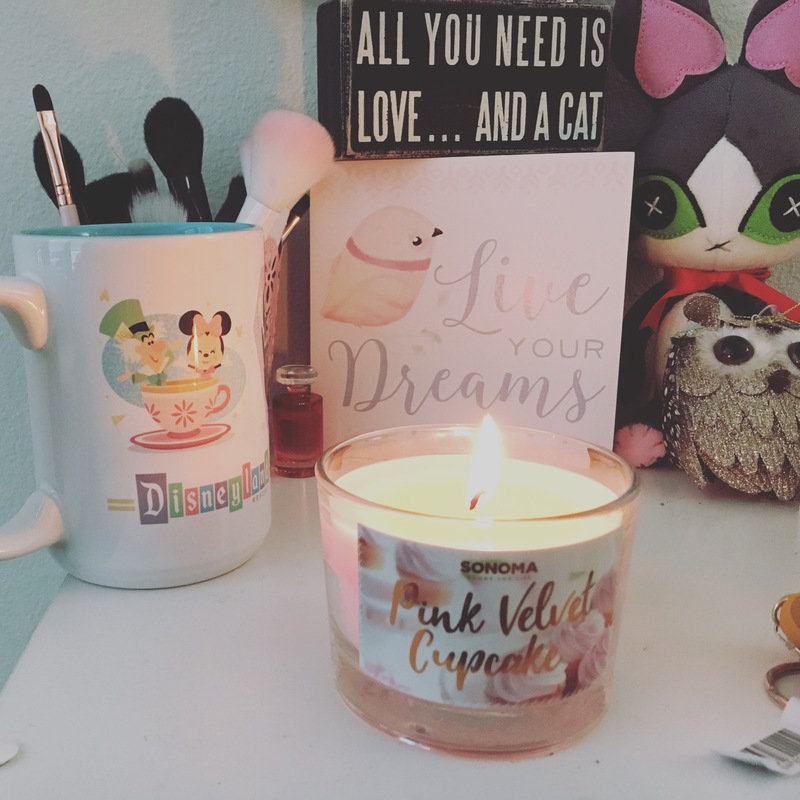 Overall I do like the scent to this, though the scent throw is a bit more on the fluffy sweet side when the candle isn't burned and you leave the lid on you can still definitely smell the candle and it's STRONG. I'm not going to go crazy and burn through the only one I have until maybe I am able to get my hands on a back up but since I'm not there's still plenty of dupes and alternatives to try out --- I'm definitely going to keep my eye out for the ScentSationals Violet Sugar to mix with Pink Velvet and see how close that is to this scent! I'll keep you all update on how that goes!